Swart, Campbell, Heuzé et al. (2018), Return of the Maud Rise polynya: climate litmus or sea ice anomaly? S. Swart, E.C. Campbell, C. Heuzé, K. Johnson, J.L. Lieser, M. Massom, M. Mazloff, M. Meredith, P. Reid, J-B. Sallée, and S. Stammerjohn (2018), “Return of the Maud Rise polynya: climate litmus or sea ice anomaly?” [in State of the Climate in 2017 chapter 6], Bull. Amer. Meteor. Soc., vol 99, S188-S189, doi:10.1175/2018BAMSStateoftheClimate.1. 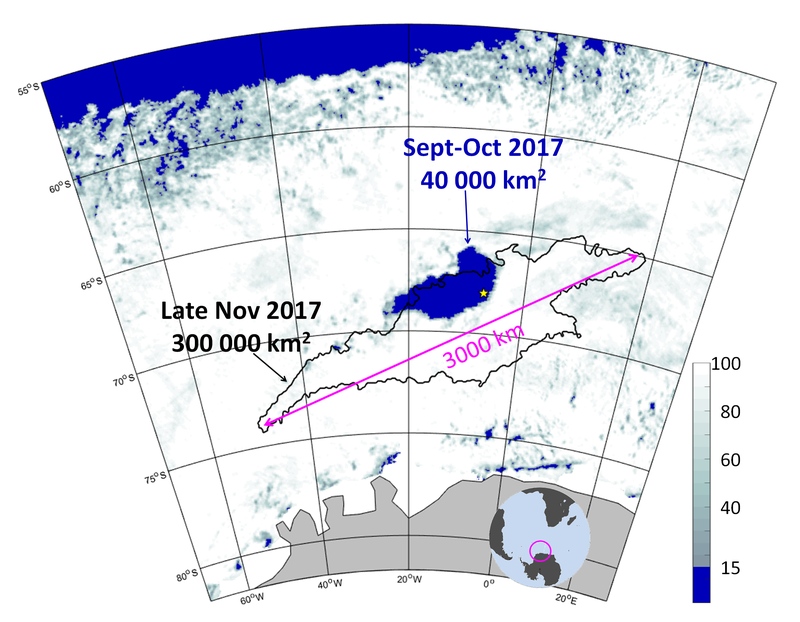 For the first time since the 1970s, a huge hole opened in the winter sea ice cover in the Southern Ocean: the Weddell Polynya. We describe this phenomenon, hypothesise potential atmospheric causes for its opening that our PhD student, Martin Mohrmann, is currently working on (dis)proving, and show biogeochemical timeseries collected by the SOCCOM float that accidentally ended up in the polynya. Download the full-text of Weddell Sea sidebar here, the entire chapter 6 about Antarctica here, or the entire State of the Climate here.